As the only Asian city on the list, Taipei has been named one of the world’s 10 best places for coffee lovers by the website smartertravel.com. That may be high praise, but one thing is for sure: Taipei features a remarkable variety of cafés and coffeeshops. Only 15 years ago, Taiwan’s coffee consumption was less than a third of the current ammount. 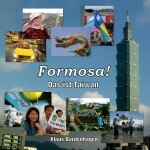 Still, on average each person in Taiwan consumes only about 80 cups of coffee per year. Since that is what I drink in three weeks, it means that for me, statistically there are 16 Taiwanese out there who do not drink coffee at all. These numbers and an interesting overview of Taiwan’s coffee industry can be found in this article. For some reason, I have always been fascinated by the myriad of logos for Taiwan’s coffeshop chains and small cafés. 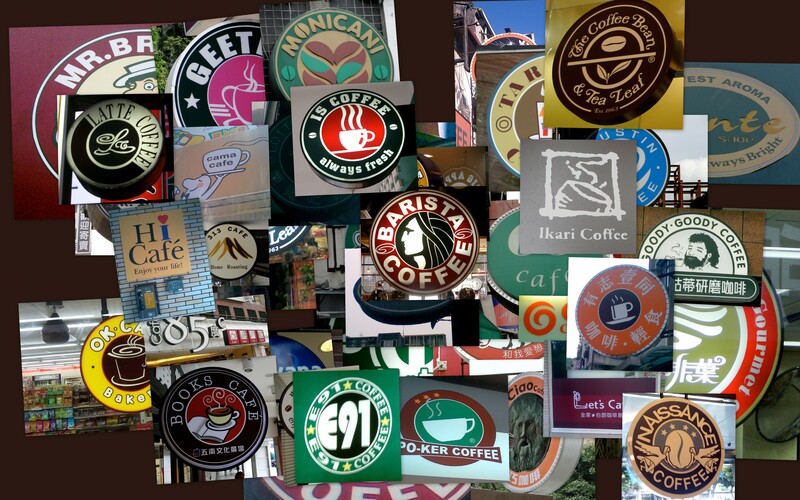 On the one hand, most of them try to copy the circular Starbucks design. On the other hand, they came up with some pretty neat ideas and crazy names. I collected almost 40 logos in this photo gallery. Enjoy! My daily fuel is the small Americano at 7/11 for NTD 22 (bring your own cup). What is your favourite place to have coffee in Taiwan? Für mich ist 85°C der beste Laden. Vielleicht kein so tolles Ambiente, aber die Schokotorte und die Schwarzwälder Kirschtorte sind einfach klasse. Nur die Stücke sind für uns Deutsche ein wenig zu klein.